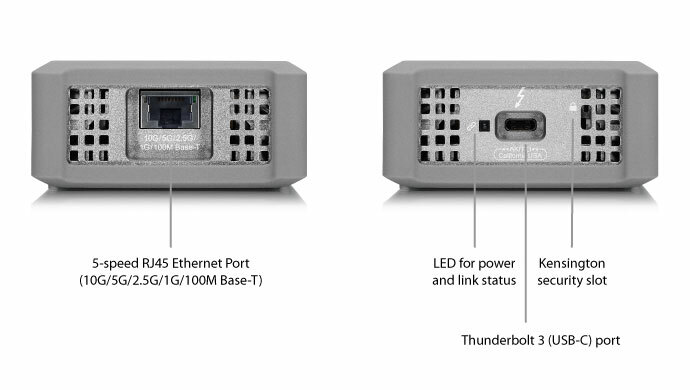 The Thunder3 10G Network Adapter offers a portable, bus powered, fanless and low-cost 10GbE solution enabling 10GBase-T and NBASE-T (IEEE 802.3bz-2016) connectivity for Apple® OS X® and Microsoft® Windows® environments over Thunderbolt™. 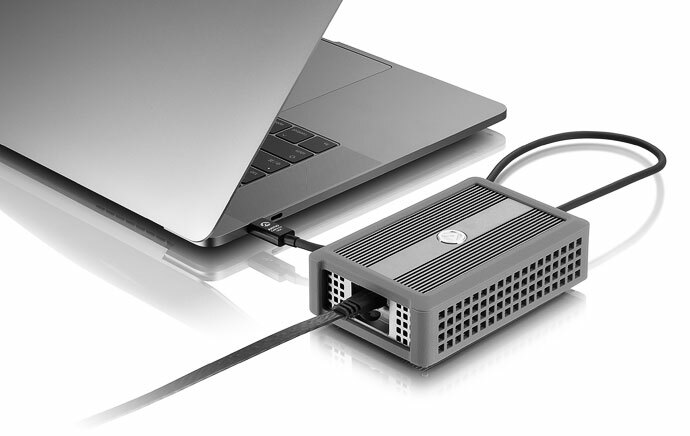 This network adapter is ideal for Thunderbolt 3 capable notebooks like the MacBook Pro (late 2016) and professional workstations that require reliable, accelerated access to external storage and networks for I/O demanding applications. This test is intended as a reference only. 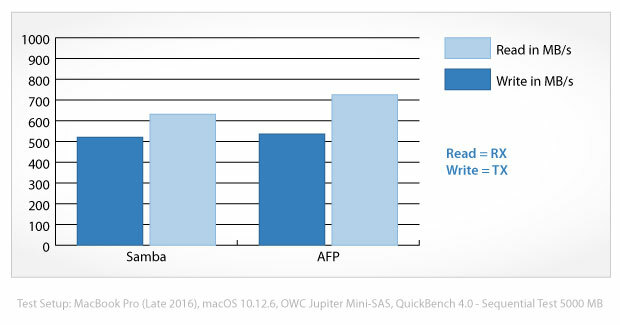 Real world results will vary depending on the network environment, the storage devices and the computers that are used.